Lego-like parts that will form the building blocks for Google's Project Ara will be produced on 3D printers and ship in time for the customisable smartphone's release early next year. 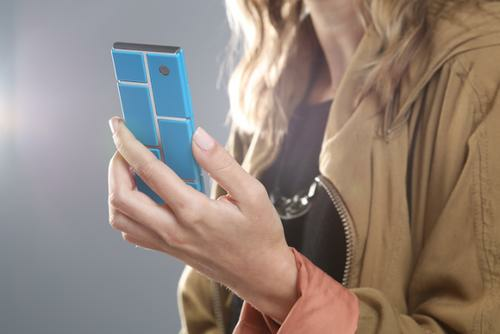 With Project Ara, Google is looking to provide a configurable smartphone in which users can add desired hardware features by attaching modular parts. Buyers will get an empty phone frame and insert the hardware components they choose into the back of it. For example, they could swap a camera for an extra battery for longer run time. 3D Systems will manufacture the plastic parts, including the circuitry inside, President and CEO Avi Reichental said during a keynote Thursday at the Inside 3D Printing conference in New York. The company will also be able to print custom designs on the surfaces of the blocks to give buyers the look they want, he said. Google is working with another company on an app customers will be able to use to design artwork for their phone, according to a Google video shown during Reichental's keynote. The video also showed Google experimenting with a version of Android for the Ara phone. Members of the Ara team were testing Android apps and drivers for the phone, which was attached to a development board that had an application processor. 3D printers have been used to make products as simple as toys and as complex as parts used in aircraft engines. But adding thin layers of metal, which would be necessary to produce the electronics inside the phone parts, has been a challenge. Only a handful of expensive 3D printers can combine plastic and micron-sized metals in the printing process. Reichental said his company's work with Google will help to overcome the challenges in this type of printing. "We see it all as very surmountable. The feasibility is very good," Reichental said. Some of the initial Project Ara blocks will have circuitry that's basic to a phone, Reichental said in an interview. He gave an example of a detachable module with a wireless antenna. "Some of the circuitry in the first generation will be very traditional," he said. Google reached its Ara manufacturing deal with 3D Systems in November. The printing company has expanded its manufacturing capacity in recent years, and Reichental is confident it will be able to meet the demand for Project Ara parts. 3D Systems will also ship the Project Ara enclosures to customers. Project Ara won't be a replacement for current smartphones but represents a good opportunity for 3D printing, said Jim McGregor, principal analyst at Tirias Research. The do-it-yourself smartphone will be good for prototyping and designing future mobile products, and for demonstrating the capabilities of 3D printing, he said. "For the maker community, for the artist community, for niche applications, it's going to be huge," McGregor said. Modern smartphones are highly integrated, with network equipment, cameras, batteries and other components built in, making it hard for 3D printers to produce them, McGregor said. In addition, the wireless parts used in smartphones need government approval, and that takes time and money. "Will Project Ara catch on? No," McGregor predicted. But it will lay the groundwork for future 3D printing projects involving conductive material. 3D printing is the "factory of the future," 3D Systems' Reichental said, helping companies prototype, manufacture and deliver products faster. The technology also promises manufacturing that is cheaper and more sustainable, he said.